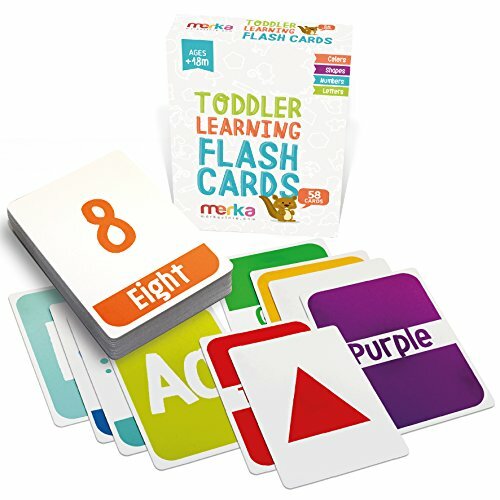 Two sets of bestselling flash cards are designed with early learning in mind. This value pack includes Alphabet and Numbers. Bold, bright illustrations make learning fun! Each set of cards includes bonus reward stickers. Flash cards are proven to assist with memorizing which is the building block for reading. Get your little one started early! Set includes activity ideas to challenge growing skill levels. 56 two-sided cards. Handy 3 1/8 x 5 1/4 size. Ages 4 and up. Flashcards are a proven method to help improve learning. The old saying of practice makes perfect applies here. Flashcards are a wonderful method of learning because they can be used in a group setting, or individually. Not only do you receive 1000 flash cards, but you also get five metal rings that make organizing easy! Create interactive games of your own, from memory to matching! 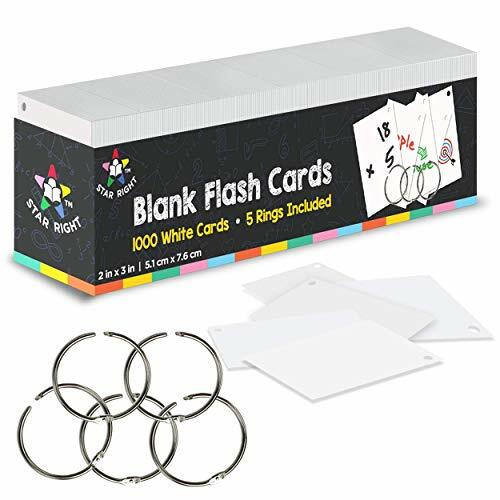 Each package includes: 1000 blank flash cards in assorted colors (each card is hole-punched in the top right corner) and five (5) metal binder rings. The team behind Star Right knows the importance of education and wants your child to develop by using new and exciting techniques of learning. We believe that fun and learning go hand-in-hand and have made our products in this reflection.These colored notecards are also a great addition as college and school supplies. GET ORGANIZED: The color of flashcards comes with five metal ring that can easily be slipped through the hole punched cards, making sure that no card becomes lost, flipped over, or out of order. It makes traveling and your notes on the fridge easy and fun! PLAY GAMES: Flashcards make it easy for numbers to be a fun and exciting game, whether in school, at home, or on the go! Try playing games or engaging memory challenges. You can even get creative and use the flash cards to make stories on the fly. ASSORTED COLORS: Orange, pink, green, yellow, and blue help to categorize subjects, assist memory, and make things lively and fun! You may also complete your college and school supplies with these colored notecards. 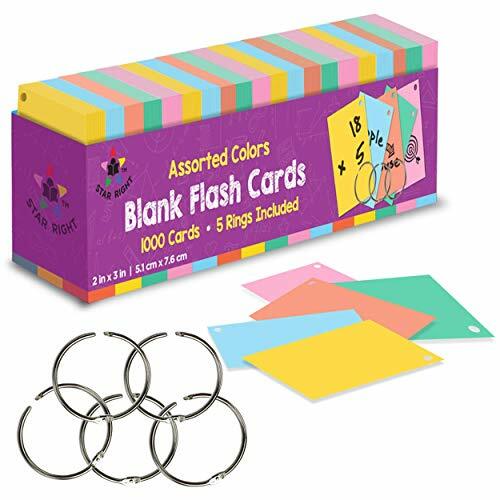 PACKAGE INCLUDES: 1000 blank flash cards in assorted colors (size 2x3) with 5 metal binder rings. ABOUT US:The team behind Star Right knows the importance of education and wants your child to develop by using new and exciting techniques of learning. We believe that fun and learning go hand-in-hand and have made our products in this reflection. A is for ant, B is for boat, C is for cat. Toddlers and preschoolers will have fun from capital A to capital Z while learning their ABCs with the Mudpuppy My ABCs Ring Flash Cards. Each of the 26 double-sided cards represents a different letter of the alphabet. The 2.75 x5 cards are perfect for little hands to manipulate and are easy to wipe clean. Artist Amy Blay has created fun illustrations on each of the 26 ABC cards allowing kids to associate objects and words with letters of the alphabet. The back of the card pictures the uppercase letter. Young children can leave the flash cards on the re-closable plastic ring to keep track of them or remove them to sort the cards by the alphabet. In addition to ABC flash cards, use these to practice sorting by color or type, or separate and hang as decorations in a playroom or classroom. Safe even if they find a curious toddler s mouth, the cards are printed with nontoxic inks and are phthalate free. For over 25 years, Mudpuppy has created quality non-digital puzzles, games, and toys for children and families that facilitate creative play and imaginative thinking. All Mudpuppy products adhere to CPSIA, ASTM, and CE Safety Regulations. 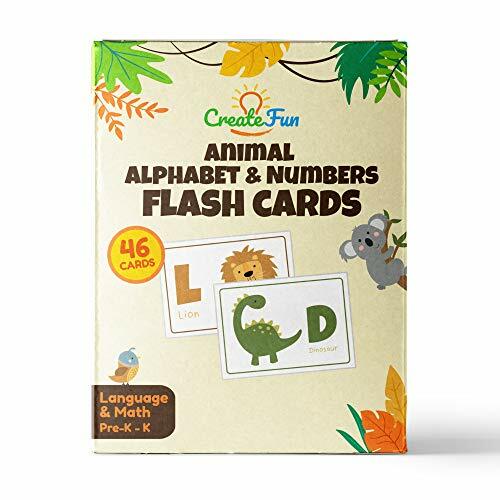 FUN AND EDUCATIONAL: Toddlers and preschoolers will have fun learning their ABCs with these sturdy laminated flash cards. Each of the 26 double-sided cards represents a different letter of the alphabet. The 2.75"x5" cards are perfect for little hands. WHIMSICAL ARTWORK: Artist Amy Blay has created fun illustrations on each of the 26 ABC cards allowing kids to associate objects and words with letters of the alphabet. The back of the card pictures the uppercase letter. RE-CLOSABLE RING: Young children can leave the flash cards on the re-closable plastic ring to keep them together or remove them to sort the cards. The removable ring makes these flash cards convenient for every day, on-the-go use. MANY USES: Use as ABC flash cards, practice sorting by color or type, or separate and hang as decorations in a playroom or classroom. The laminated thick cardboard is printed with nontoxic inks and is phthalate free. The cards are easy to wipe clean. SCREEN-FREE FUN: For over 25 years, Mudpuppy has created quality non-digital puzzles, games, and toys for children and families that facilitate creative play and imaginative thinking. All Mudpuppy products adhere to CPSIA, ASTM, and CE Safety Regulations. Sight Words - Level 1 - 36 Playing Cards - 6.5 in x 9 in. It is a high quality product. Manufactured in United States. Star Education Flash Cards Set are great for teaching, reviewing and practicing basic skills, language and math. It is ideal for Pre K-K aged children. Flashcards are a proven method to help improve learning. The old saying of practice makes perfect applies here. People who have used flash cards were proven to get better exam scores for this reason. It includes: 1 Outer Box with 4 Packs of cards. 144 Flash Cards Total. 1 Ring per pack of flash cards. Instructions and game ideas are included with every set of cards. The flash cards are hole-punched so you can sort and organize the cards easily. The cards are approximately 3"x4.5", the perfect size for comfortable hand-holding. The lettering is large, bold and clear so it is easy to read even from afar. The set includes 144 flash cards total, 36 cards per set. This is a great method for teaching visual learners either in the classroom or for your child at home. This is great for a fast learner to stimulate him or for the extra practice a child needs. With these cards you can teach a child at the level they are up to. Ring 'Em Up: Compete with a friend to collect cards on your binder rings. Whoever collects the most wins. Word in a Flash: Get creative and use the words, numbers, alphabets, colors or shapes to tell a story. Make the game even more challenging by adding a second of the former. Or just use your creativity and come up with some games on your own! Make learning fun and get your set of Star Education Flash Cards today! Check out our other Star Right products such as our flash cards, puzzles, and desktop dry erase easel with magnetic letters! 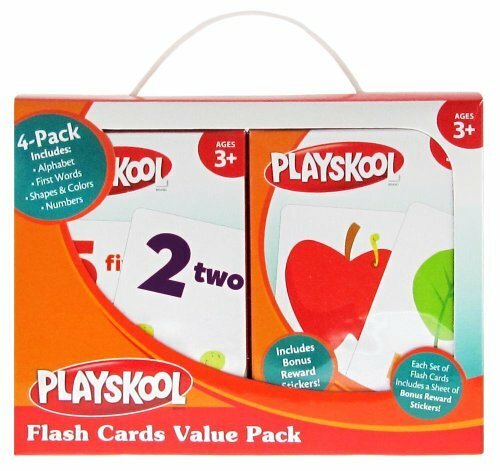 FOUR FLASH CARDS SETS - These 4 sets will teach your 3-5 year old Math, Language and Basic Skills. 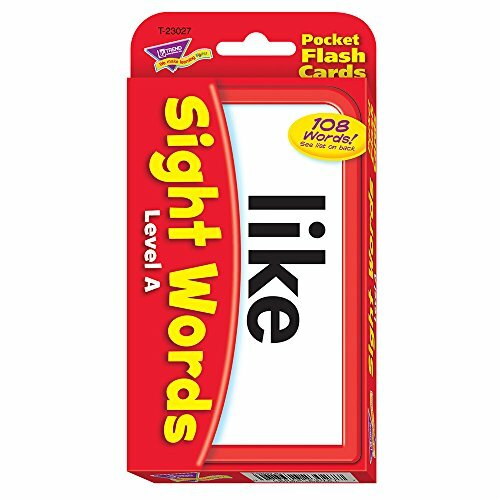 LARGE FONTS with REALISTIC ART - These flash cards are the perfect hand-held size with large, clear and bold fonts so it easy to see even from afar. The realistic art makes it exciting and practical for teaching your child. TEACH AND REVIEW - It is deal for teaching, reviewing and practicing sight words, in the classroom as a whole or each child individually or in groups, at their level. Each package includes: 1000 blank flash cards (each card is hole-punched in the top right corner) and five (5) metal binder rings. The team behind Star Right knows the importance of education and wants your child to develop by using new and exciting techniques of learning. We believe that fun and learning go hand-in-hand and have made our products in this reflection. These blank notecards are also a great addition as college and school supplies. GET ORGANIZED: The flashcards comes with five metal ring that can easily be slipped through the hole punched cards, making sure that no card becomes lost, flipped over, or out of order. It makes traveling and your notes on the fridge easy and fun! PACKAGE INCLUDES: 1000 blank flash cards (size 2x3) with 5 metal binder rings. Educational sight words for beginning readers ages 3-9. 100+ sight words per pack that cover up to 75% of the words found in beginner children's books. Curated word list from Dolch and Fry to help prepare students grade levels Pre K through third grade for successful learning. 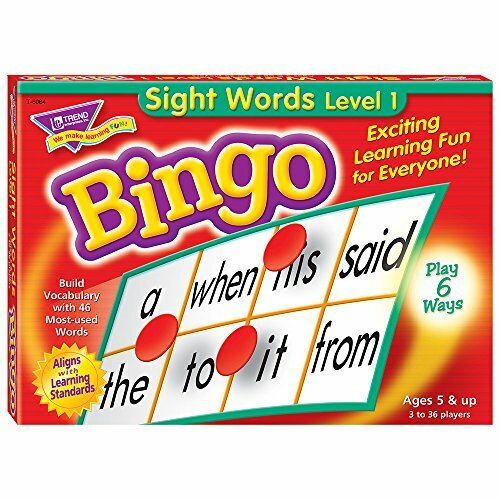 Each pack comes with a sequence of 6 teaching techniques and 6 fun educational games for kids to learn sight words. Learning to read made easy with Pre-K, Kindergarten, 1st Grade, 2nd Grade, and 3rd Grade flash cards. Learning to recognize these words without decoding them increases a child's reading speed accuracy, fluency, and comprehension. 6 teaching techniques and 6 learning games are included to help your children practice writing, spelling and build sentences. Providing simple learning resources for a first-time reader. Girls and boys can practice word activities to help their memory skills, key for tests. Our cards are designed to make learning fun for young learners with a non-distracting design and large bold print that helps students automatically recognize words. The flash cards are made from high quality card stock with a smooth laminated coating and rounded edges for easy sorting and handling. The 6 fun sight word games included: Complete the Sentence, Create a Sentence, Interactive Sentence, Slapjack, Search the Deck & Word Hunt. 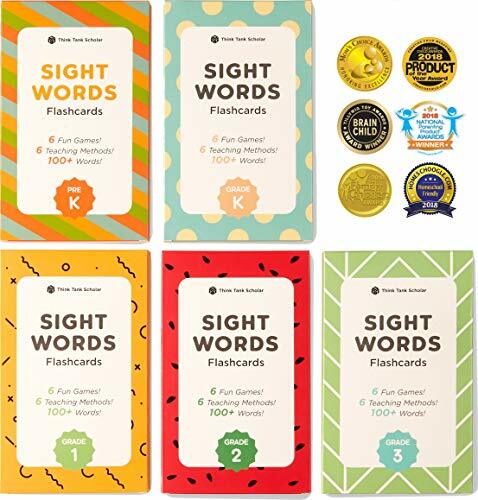 Award winning sight word flash cards for children in grade levels Pre. K through Grade 3. Our 12+ Awards include: 2018 Creative Child Magazine Product of the Year, 2018 Mom's Choice Award winner, 2018 Family Choice Award winner, 2018 National Parenting Product Award winner, 2018 Academics Choice Award winner, & 2018 National Parenting Center Seal of Approval. 500+ Words covering up to 75% of words found in beginner books. Sight words curated from Dolch and Fry word lists for kids ages 3 - 9. 54 two sided durable cards per pack with large bold lettering for easy reading. Coated flash cards come with 3 rounded edges and 1 angled corner for quick and smooth sorting. Here are some tips we think will come in handy: Be patient! Toddlers are loaded with energy and zest for life. Take advantage of their attention when they're engaged and interested. Start by introducing shapes and colors. Those are some of the earliest concepts toddlers can grasp. Remember that children can begin to recognize letters at age 2 or 3. By age 4 or 5, kids are capable of identifying all the letters in the alphabet. The first step in teaching the alphabet is getting your child interested in listening to stories. At around age 2 or 3, kids who are frequently read to make the connection that books contain print, which is made up of individual letters. This is why a good bedtime story is always a good idea! Around age 4, your child will develop the ability to write letters, so don't focus on teaching him to write before then. If he seems interested, feel free to continue helping him learn more letters. Flashcards appeal most to visual learners. Make flashcard practice a game, and stop when your child wants to. Remember that practice makes perfect. As always, don't forget to have fun! Emotional Intelligence Builds Confidence! Who says kids shouldn't talk about feelings? A growing brain can be a wild place! Teaching your child to identify, understand, and deal with their emotions at a young age builds a foundation of confidence and self-awareness that will benefit them for a lifetime. 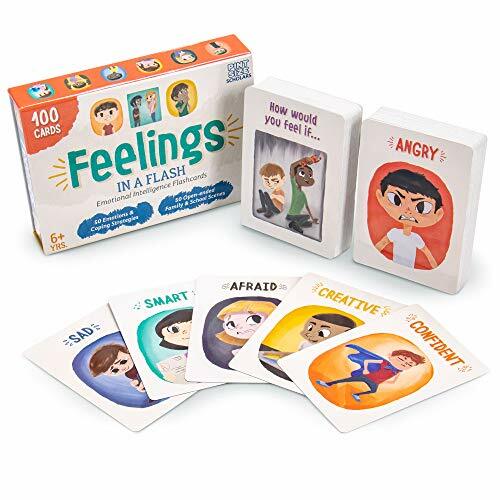 Feelings in a Flash offers several easy and fun flashcard-based games and learning activities to encourage children to openly discuss and reflect upon their feelings. Teaching children a strong, nuanced vocabulary of feeling words at a young age provides them with the tools necessary to properly label and express feelings. This set of one hundred 2.5 x 3.5" flashcards includes 50 open-ended cards scenario cards and 50 emotion face cards with suggested coping strategies listed on each back! Perfect for counselors, teachers, and parents---there are endless ways to use these cards! 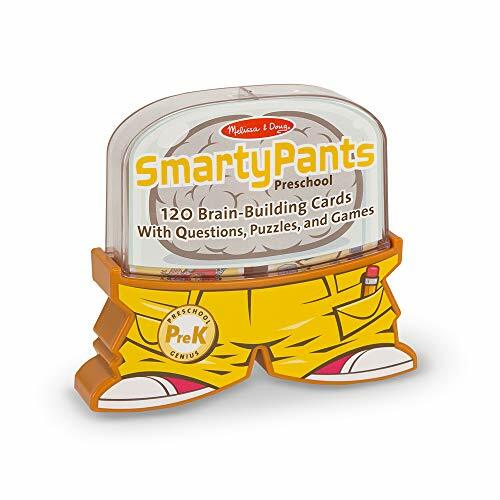 Brand: Pint-Size Scholars | Manufacturer: Brybelly Holdings, Inc.
Educational game that will make your little one happy and busy ! 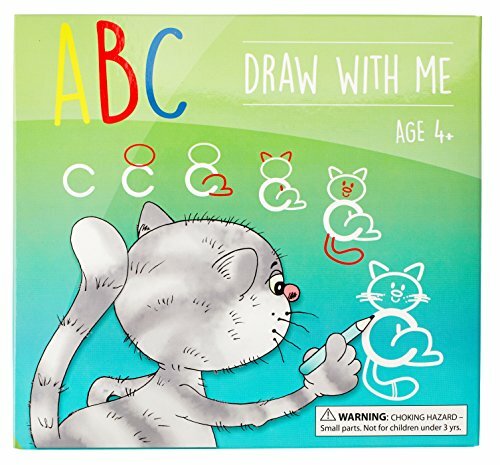 ABC Draw With Me is a fun way to learn the alphabet by step by step drawing pictures. Trace the letter and follow five simple steps. Each card features colorful and beautiful illustrations with letters A through Z. Learning letter sounds and drawing skills. Each picture begins with that letter sound. This is a great educational toy for 4 year old and up kids. Children will have a lot of fun following these simple steps and drawing pictures that not only teach them alphabet but also develops their motor skills. GIVE YOUR CHILD A FUN AND EDUCATIONAL EXPERIENCE - fun way to learn the alphabet by drawing pictures in five simple steps. Educational toy that develops Art & Craft Skills. INCLUDED - 1 Box, 26 sturdy 8 x 8 (20 x 20 cm) two-sided cards, 1 dry erase marker. IDEAL BIRTHDAY GIFT for children age 3, 4, 5, 6, 7 year olds. Perfect present or Party gift for boys and girls. This educational game will make a great birthday present! Children will learn to write their uppercase ABCs and improve drawing skills. NOT ONLY GOOD FOR EDUCATION, BUT FUN TOO - We all know that learning is more effective when it's also fun, like playing games and puzzle solving. Educate your kids while they play. SAFE, DURABLE, AND EASY TO CLEAN - save on paper use , just wipe off the marker and do it again! Recommended ages 4 and up. 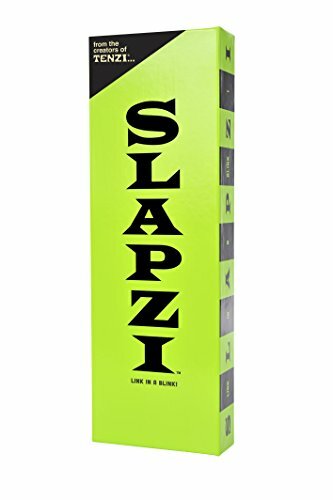 From the creators of Tenzi dice game comes the brand new picture game slapzi! 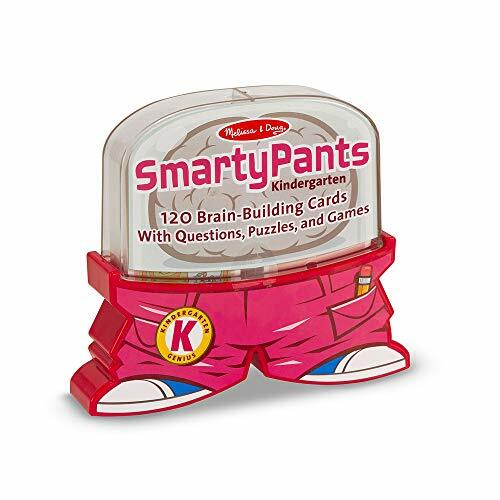 Smarty Pants First Grade cards let kids test their smarts and load up on new facts and funny trivia. Designed for independent use (so a child can play alone or with a parent or friend), the cards are colorful, creative and packed with illustrated activities, including trivia quizzes, problem-solving puzzles, word play, fun facts, creative story-building games and much more. Each educational card set is thoughtfully developed to suit the learning style and curriculum standards of each age range . . . then spiced up with fresh, lively design and an infusion of humor (including a whimsical pants-shaped case!) to keep kids giggling, engaged and excited about learning. Illustrated activities include trivia quizzes, problem-solving puzzles, word play, fun facts, creative story-building games, and more. Engaging your kids nowadays can be challenging with all the distractions that accompany a modern lifestyle. Take back your time with your kids with these Flash Cards! Go on a journey with your child in this value pack, exploring the full alphabet with colorful, friendly Animals in Upper Case and Lower Case! Roar when you come across the Bear, Dinosaur and Lion! Make crazy, weird noises when you come across the Monkey, Quail, Sheep and Panda! Make memories with your kids while teaching them all the letters of the alphabet! + Extra thick and durable! + Will not easily tear when pulled on like ring sets! + Numbers 1-20 with corresponding animals for sight counting! + Helps in developing recognition of letters - Capital and lower case! + Large and colorful yet still a holdable size for a child! + Not overstimulating, ideal for Babies that can recognize images, Pre-K / Preschool and Kindergarten aged children! + Matte to the touch and feel of the cards can help stimulate your infant's senses. + Helps your child recognize numbers and counting. + Each board is designed to be able to withstand mild spills and teeth! Do not Immerse this product in water! + Comes with free Coloring Pages PDF Emailed to You! Play Games! Have Fun! Make Animal Sounds While They Learn! Whether you're a parent prepping for preschool, a teacher looking for a new resource or a home school parent looking for new activities, we hope that these will empower you to connect and bond with your children! 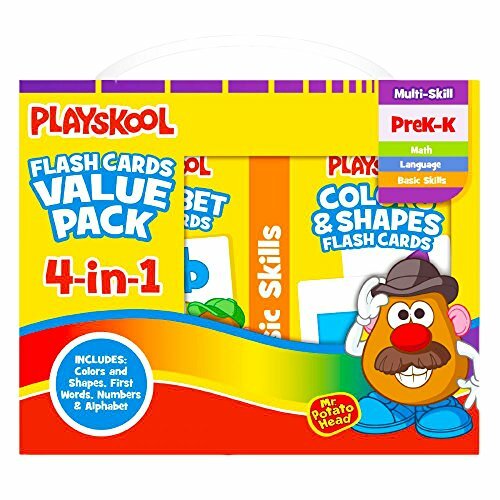 Note: These Cards are recommended for ages 1, 2, 3, 4 & 5 years old but can be used by anyone ages 1-101! Any age, from Infant to Great Great Grandparents! 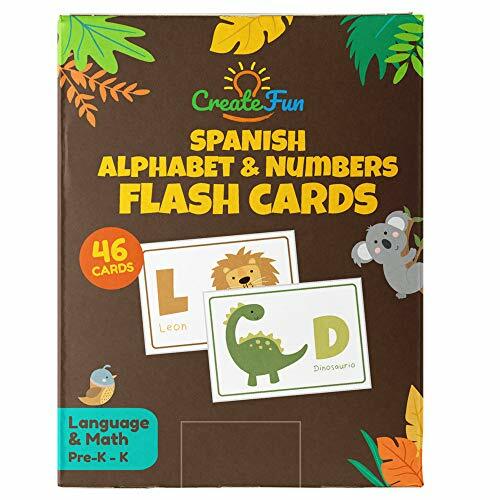 女 LARGE DURABLE CARDS: While the other guys leave you with thin, tearable, flimsy cards with holes in them, this Flashcard set is larger, extra thick and can handle more wear than the average card for your baby and prek child. No more plastic rings that can catch on small fingers! These cards are large yet still holdable for your preschoolers!  CLEAR AND FUN DESIGN: Each picture is thoughtfully designed with style in mind. Every Letter, Number and Color with you and your Children in mind! We have taken great care to balance learning while having great design! Included in this value pack are the first 20 numbers along with 26 capital and 26 lower case letters! Each card has the word of the number and animal spelled out in English! As your kids advance in reading, they will be able to start to read these words by sight!  HOW WE'RE DIFFERENT: At CreateFun we have families ourselves and wanted educational materials with great design. Let's face it, not all educational material is thought with education AND design in mind. We want to empower parents, teachers, social workers, homeschool families to Create Fun While Growing and Learning. We want to create ease in teaching for our customers.  AS A THANK YOU: Upon ordering your set, you will receive a FREE Educational Coloring Page PDF with all of the CreateFun Animals in this set! A portion of proceeds from this set will go to charitable works! Thank You for supporting us and empowering you and your child to Create Fun While Growing and Learning!  CUSTOMER CARE PROMISE: CreateFun strives to create complete customer satisfaction, period. Our customers mean more to us than our sales. If you are unhappy with your A B C and 123 Flash Cards for any reason, we will replace or refund your order. Zero questions asked. So please don't hesitate to reach out - we love to help! Engaging your kids nowadays can be challenging with all the distractions that accompany a modern lifestyle. Take back your time with your kids and go offline with this Memory Game! Go on a journey with your child in this value pack, exploring a variety of Animals, Insects and Ocean Creatures. Featuring vibrant, colorful, picture cards. Roar when you come across the Lion, Bark with the dog and squeak with the mouse! Make crazy, fun noises when you come across the Sheep and Panda! Make memories, build your brain response time, have a ton of fun with your kids while teaching them all about many kinds of creatures! + No need to know how to read or even your ABC's! + Increase your cognitive skills. +Large cards with real life images. + Educational AND easy to understand. Whether you're looking for a fun set to connect with your young toddler, preparing your curious little one to move into preschool, a homeschool mom or dad, a teacher looking for supplies for your classroom or a therapist who has a client that loves Animals, we hope that this game will empower you to connect and bond with your children and students! 女 PROMOTE MEMORY, CONCENTRATION & FUN: Exercise and train your brain memory. Grow and get quicker at identifying animals. Learn what real life animals and insects look like! Whether you're playing with a toddler or senior, learn, create new memories and enjoy off screen connection.  CLEAR AND FUN DESIGN: Go through an exploration of Nature and all the creatures that you may (or may not) come across. With Animals, birds, fish and reptiles each picture card is a real image is thoughtfully designed for clarity and style. No need to know how to read! 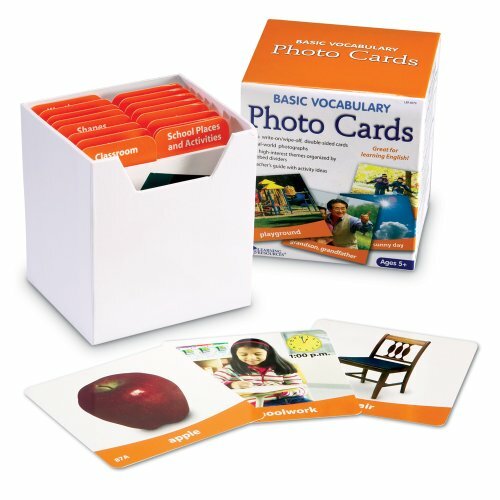  LARGE PREMIUM PHOTO CARDS: While the other guys leave you with small and faded cards, this memory card game set is large, durable for your prek child through seniors. No more plastic rings that can catch on small fingers! These cards are large yet still grabbable for your preschoolers! 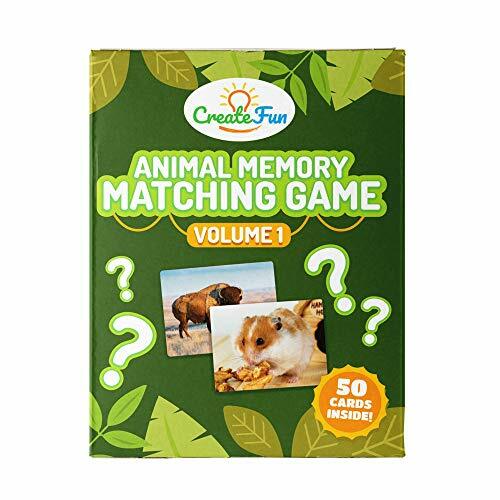  FUN FOR THE FAMILY: Whether you're having game time, teaching your young ones about animals or in a classroom setting, Create memories and match your favorite Animals. With 50 cards, 25 pairs total. Preschoolers through to Great Grandparents will enjoy quality offline play.  KID FRIENDLY GUARANTEE: CreateFun strives to create complete customer satisfaction, period. Our customers mean more to us than our sales. If you are unhappy with your Memroy Matching game for any reason, we will replace or refund your order. Zero questions asked. So please don't hesitate to reach out - we love to help! Can We Talk Cards are your new favorite way to spark fun and engaging conversations with your partner. Created by Communication Expert and Certified Life Coach, Amber L. Wright , this deck of 50 questions can help couples get to know each other better. Measuring just under three inches, they're small, convenient, and perfect to use on dates, during quiet nights at home, or any time you want to connect. QUALITY TIME WITH BAE: A great way to deepen the connection between you and your partner. Relax, unwind, and reconnect with these thoughtful questions. MENTAL STIMULATION: There's nothing sexier than being able to simulate your Partner mentally through great conversation. Practice good communication and listening skills with this card set. DATE NIGHT: Perfect for a simple date night. Whether it's your first date night or 100th, this Flash Card set can really help you get to know each other better. MODERN SLEEK DESIGN: Easy to Read fonts with sleeks designs and bright colors for great interaction. Looking for a fun interactive way for young child to learn ABCs? This is the ultimate toy you are looking for! It's been scientifically proven that preschool educational activity can improve child's intelligence, through develop his/her brain by building up a lifelong self-learning system. Aside from learning the common ABCs and numbers, toddler can learn 26 different animal names with colors. 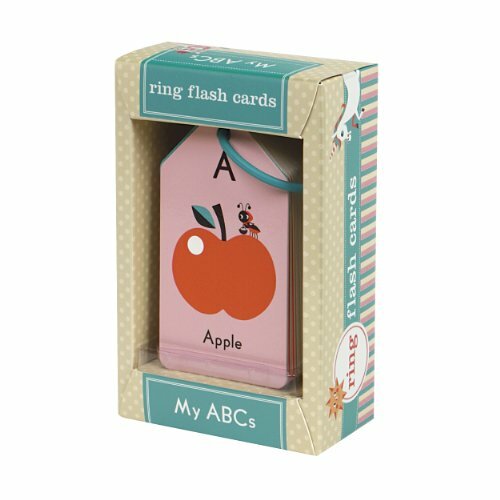 The back of each alphabet cards include basic handwriting strokes, make teaching kids to write alphabet a fun and easy task. Each number cards also include the corresponding amount of animals. For example, the "7" card has 7 pupppies on both the front and the back, and adult can ask kids to count out the amount of animals on each card. Then find the corresponding wooden block to complete the jigsaw puzzle afterward. Fine Motor Skills, Letters and Number Recognition, Focus and Concentration, Color Recognition, Hand-Eye Coordination, Strategic Thinking, Cognitive Development, and Speech Development. 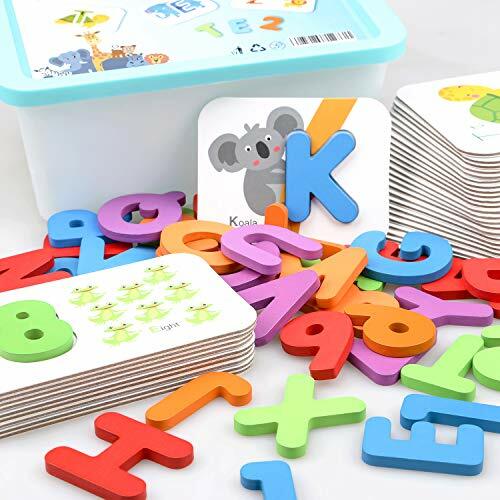 Storage Box: 9" x 6.3" x 5.5"
Alphabet Flash Card: 4.25" x 3.25" x 0.15"
Number Flash Card: 5.5" x 3.25" x 0.15"
Wooden Blocks: 1.6" x 1.9" x 0.25"
Learn Letters & Numbers The set includes 26 flashcards for alphabet A-Z, 10 flashcards for numbers 1-10, and 37 high quailty smooth wooden letters to correspond with the learning cards. Color Recognition All cards are printed with bright color and cute animals to improve children color recognition skills. Color of the wooden letter blocks also matches the color of letters placements on the cards. Easy To Carry Comes in a storage box, blocks and learning cards can be easily stack together, and place inside the box for storage and carrying around. Large Durable Card Each alphabet cards are measured 4.25 x 3.25, letter cards are measured 5.5 x 3.25, and 0.15 in thickness. Unlike other learning flashcards that are paper thin, and small to see from a distance. Our cardboard flashcard can be use as an excellent teaching tools for teachers and moms. Great Learning Puzzles Each pieces are average 1.6 x 1.9 in size, and 0.25 in thickness. Easy for small children to grab and recognize, but large enough to prevent accidental swallow. These jigsaws puzzles flashcards improve toddler and babies hand-eye coordination. It also helps develop children problems-solving ability and skills. Making it an awesome parent-child interaction toy. 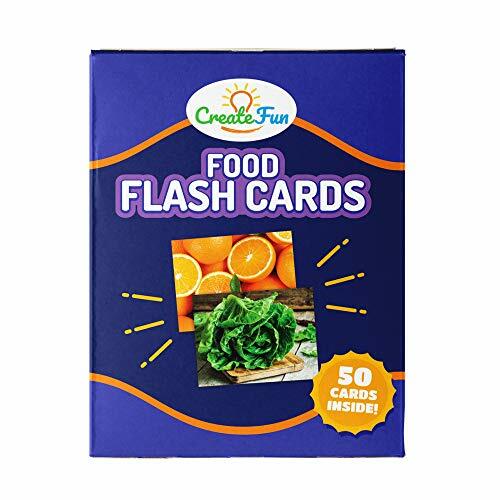 This CreateFun Food Flashcard set contains 50 beautifully crafted cards with everyday food items on the front and a colorful word on the back of each card to help you and your student, whether in the early stages of learning, learning English as a second language or looking for a new circle time game learn a diverse selection of food items. GO SCREEN FREE! CULTIVATE CONNECTION! This set will empower you to help your student identify a wide variety of everyday food and meals we see in our surroundings. Whether you're a stay-at-home mom, dad or in a teaching professional field such as a therapist, counselling, psychology or homecare, we hope this set empowers you to be successful in educating your children and students. Use as part of a whole educational system or as a standalone teaching tool in your home or classroom. Have your child's imagination get expressive, create compelling conversations, games and a story and engage you with offline play! This Noun set is a great tool to play with Infant, Toddler and Kindergarten age kids as well as 1 on 1, therapeutic use in childhood counselling, Asperger's and Autism Programs. These cards can also be used with seniors as part of therapy for memory recall, brain stimulation, CBT, dementia and Alzheimers. Part of your Homeschool Supplies & More!  MASTER FOOD IDENTIFICATION for your student. Ideal for all types of students from speech therapy to ESL, toddlers to adults. Promote clearer communication, critical thinking skills, verbal concepts, conversation, reasoning and development for all ages. 塞 CLEAR AND VIBRANT Picture Cards with up to 25% more cards than other sets. Let this set be a part of building a wider vocabulary for your student. Whether you're a parent, teacher or therapist, use this set to build your teacher supplies for your classroom, homeschool materials, daycare, speech therapy supplies, special education.  DON'T BE STUCK IN THE 90's with other flashcard sets: this set will bring you into the modern age with up to date, diverse images. No bulky packaging, more durable than the average flash card and easy to hold for small hands.  A WIDE SELECTION of recognizable, basic food items as well as some not as commonly used food items and meals. Ignite a passion for trying new foods! Create games and promote easy learning out of the 4 starter teaching games! 凌 LARGE AND COMPACT: Fits in your pocket! 50 High Quality flashcards, 2 instruction cards with universal appeal. Includes a water resistant and smudge proof coating. Part of your purchase will go to fund education initiatives, food drives and other charitable works. Engaging your kids nowadays can be challenging with all the distractions that accompany a modern lifestyle. 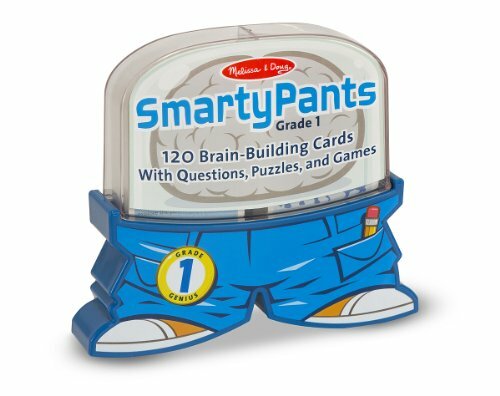 Take back your time with your kids with these Flash Cards! Go on a journey with your child in this value pack, exploring a variety of Animals, Insects and Ocean Creatures. Featuring vibrant, colorful, picture cards. Roar when you come across the Lion, Bark with the dog and squeak with the mouse! Make crazy, fun noises when you come across the Monkey,, Sheep and Panda! Make memories with your kids while teaching them all about many kinds of creatures! + Increase you children's vocabulary and knowledge of Animals and Insects. + An educational toy with fun for the whole family. 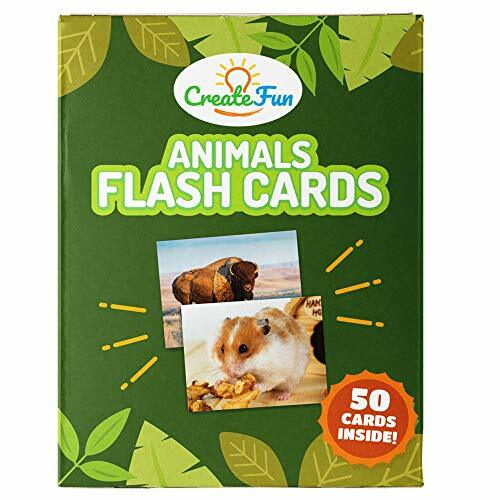 Whether you're looking for a fun set to connect with your young toddler, preparing your little one to move into preschool, a homeschool mom or dad, a teacher looking for supplies for your classroom or a therapist who has a client that loves Animals, we hope that this flash card set will empower you to connect and bond with your children and students! 女 LARGE DURABLE CARDS: While the other guys leave you with thin, tearable, flimsy cards with clutter and holes in them, this Flashcard set is larger, extra thick and can handle more wear than the average card for your baby and prek child. No more plastic rings that can catch on small fingers! These cards are large yet still grabbable for your preschoolers fingers!  CLEAR AND FUN DESIGN: Go through an exploration of Nature and all the creatures that you may (or may not) come across. With mammals, birds, fish, reptiles, and amphibians, each picture card is a real image is thoughtfully designed for clarity and style. Help improve your student's verbal and listening skills, language and vocabulary development.  HOW WE'RE DIFFERENT: At CreateFun we have families ourselves and wanted educational materials with great design. Let's face it, not all educational material is thought with education AND design in mind. We want to empower parents, teachers and social workers to Create Fun While Growing and Learning. We want to create ease in teaching for our customers.  WORK ON YOUR OWN SCHEDULE: Use as part of a whole educational system or as a standalone teaching tool in your home or classroom. Have your students imagination get expressive, create compelling conversations, games and a story to engage your child with offline play.  CUSTOMER CARE PROMISE: CreateFun strives to create complete customer satisfaction, period. Our customers mean more to us than our sales. If you are unhappy with your Animals & Insects Flashcards for any reason, we will replace or refund your order. Zero questions asked. So please don't hesitate to reach out - we love to help! 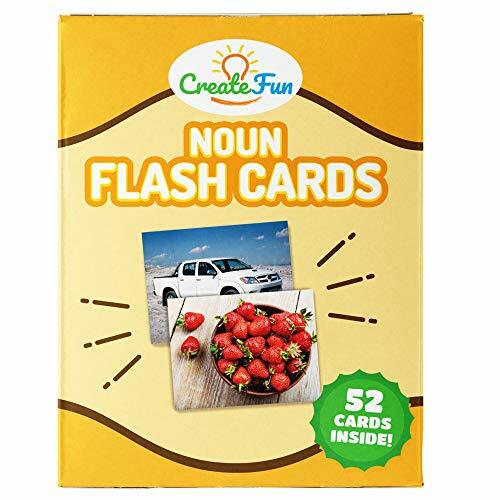 The CreateFun Nouns Flashcards set contains 52 cards (50 Noun Cards with 2 instruction cards) with a bright and clear picture on the front of each card with a colorful word on the back of each card. This set will empower you to help your student identify everyday items we see in our modern environment. Whether you're a stay-at-home mom, dad or in a professional field such as a therapist, counselling, psychology or homecare, we hope this set empowers you to be successful in educating your children and students. WORK ON YOUR OWN SCHEDULE: Use as part of a whole educational system or as a standalone teaching tool in your home or classroom. Have your child's imagination get expressive, create compelling conversations, games and a story and engage you with offline play! Comes with 5 "Starter" teaching techniques and 2 game ideas. This Noun set is a great tool to play with Infant, Toddler, Preschool/PreK and Kindergarten age kids as well as in a team, 1 on 1, therapeutic use in childhood counselling, sequencing, Asperger's and Autism Programs. These cards can also be used with seniors as part of therapy for memory recall, brain stimulation, CBT, dementia and Alzheimers. Part of your Homeschool, Preschool and Kindergarten Supplies & more! MASTER NOUN IDENTIFICATION for your child. Ideal for all types of students from speech therapy to ESL, toddlers to adults. Promote clearer communication, critical thinking skills, sequencing, verbal concepts, conversation, reasoning and development for all ages. 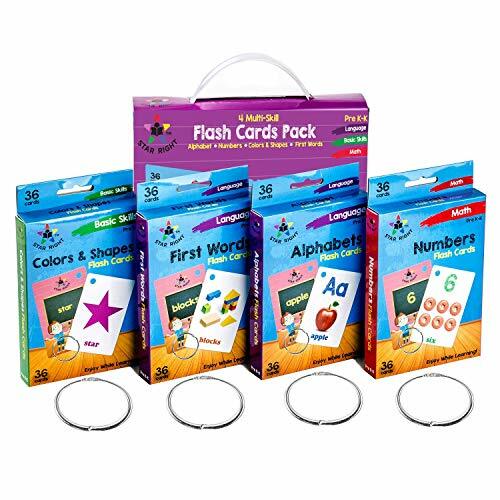 DONT BE STUCK IN THE 90s with other flashcard sets: this set will bring you into the modern age with up to date, diverse images, no bulky packaging, more durable than the average flash card and easy to hold for small hands. LARGE, CLEAR AND VIBRANT Picture Cards with up to 25% more cards than other sets. 50 high quality flashcards 2 instructional cards! Whether youre a parent, teacher or therapist, use these pictures and words to promote clearer communication, critical thinking skills, conversation and reasoning for all ages. IMPROVE YOUR STUDENTS understanding of matching items in the world around them, verbal and listening skills, English language and vocabulary development. LARGE YET COMPACT: Will fit in your pocket! Comes with a wide selection of recognizable, everyday objects. Create games and promote easy learning out of the 5 starter teaching games!